You’ve often heard of people being the life of the party…well when it comes to Houston Magician Kyle Ryan, he IS the party! With over 15 years of professional performing experience, the Magic of Kyle Ryan delivers a high dose of hilarity with a show complete with audience participation, gut-busting comedy, and mind-blowing magic that is sure to make for an evening of unbelievable entertainment! - Anywhere there’s fun to be had! 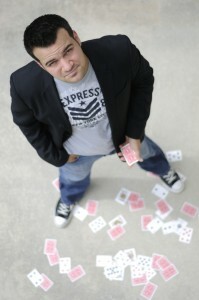 For more information on The Magic of Kyle Ryan, Click Here!